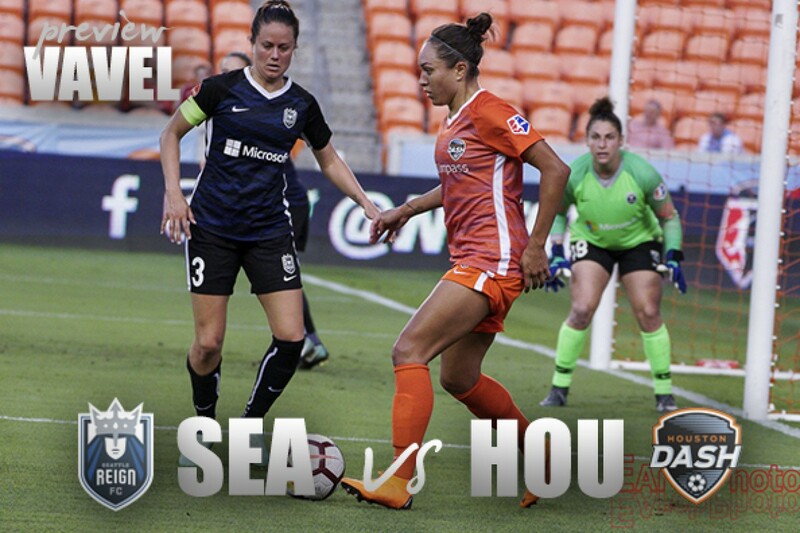 The Seattle Reign FC host the Houston Dash in hopes of solidifying a playoff spot. 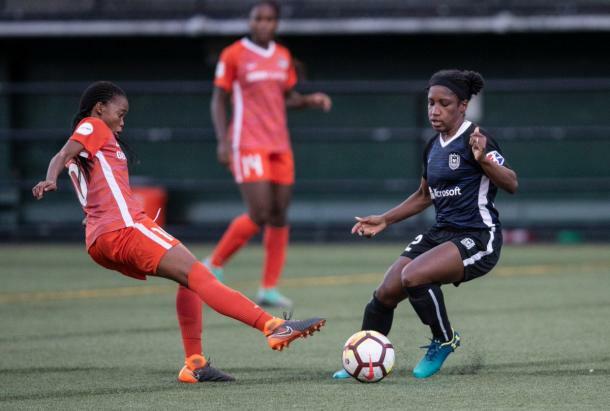 With only three weeks left in the NWSL regular season, the Seattle Reign are able to secure a spot in postseason play on Tuesday night when they host the Houston Dash. Seattle currently sit in second place after a draw with the Chicago Red Stars while Houston is on a high after a very dominant 4-0 win over the Washington Spirit to keep their playoff hopes alive at seventh place. The Houston Dash are certainly putting up a fight. Their playoff push isn't done quite yet despite the odds, and every game is must win for them on top of hoping some of their opponents' matches turn out in their favor. Although they are low on the table, the Dash are only a mere two points behind the last playoff spot. A win over Seattle this week would put Houston in sole posession of fourth place and keep their playoff hopes alive for another few days. The Dash have been picking up steam as of late, winning three out of their last four matches. Their attack has come alive in recent weeks, scoring at least one goal in every match since May 23. They've broken their organization record for points with 26 just a week ago and look to break even more club records as they go into the final few weeks of the 2018 season. Rachel Daly leads her club with nine goals and is a possible contender for this year's NWSL Golden Boot while goalkeeper Jane Campbell is the only goalkeeper in the league to play every minute this season for her club so far. With solid performances from front to back, the Houston Dash go into their match against the Seattle Reign with plenty of cards on the table. With a win or draw over Houston this week, Seattle solidifies themselves in the top four and will only be fighting for home field advantage during the remainder of regular season play. They can also break the season shutout record this match - the current NWSL record is 12 and they have 11 on the 2018 season. Seattle is looking like a very strong contender for playoffs as long as they keep producing and staying on top of their game for the last couple of weeks. Jodie Taylor and Megan Rapinoe lead the Reign with seven goals each this season. However, Rapinoe - who leads her team with seven goals and five asissts - is listed as questionable for this upcoming match due to left hip soreness. The Reign will also be missing midfielder Allie Long due to a right knee sprain. Despite not having two key players, Seattle is still expected to show a strong performance at home. The Seattle Reign host the Houston Dash at Memorial Stadium on Tuesday, August 21. Kick off is schedule for 10:30 PM Eastern Time and will be streamed on the NWSL website and app.